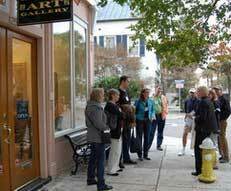 The Fine Art Gallery Tour allows you to see the finest art galleries in Charleston, South Carolina with a professional artist as your tour guide as you visit six to eight distinct locations. Charleston is one of the finest art destinations, with over 50 galleries, so this tour can give you all the knowledge about the area's art landscape. You will visit 6 to 8 of the art galleries in Charleston, although the gallery selection may change as new shows are introduced, so that you are guaranteed to see the very best on your tour. 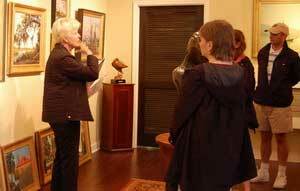 During this inspiring tour, you will get to see the wealth of emerging new talent in Charleston, with plenty of time for sightseeing in the historic part of the city. With your expert' guide's view on specific artists and their work, this tour gives you a rare look at the best of the Charleston art world. The tour concludes with sparkling wine, water, chocolate and a gift bag for you at the last gallery.